The Ann Arbor Area Board of REALTORS® is pleased to announce our support for Friends In Deed by sponsoring the Friends In Deed Annual Dinner and Silent Auction and to partner with Friends In Deed through May to help bring volunteers from our membership to the organization. 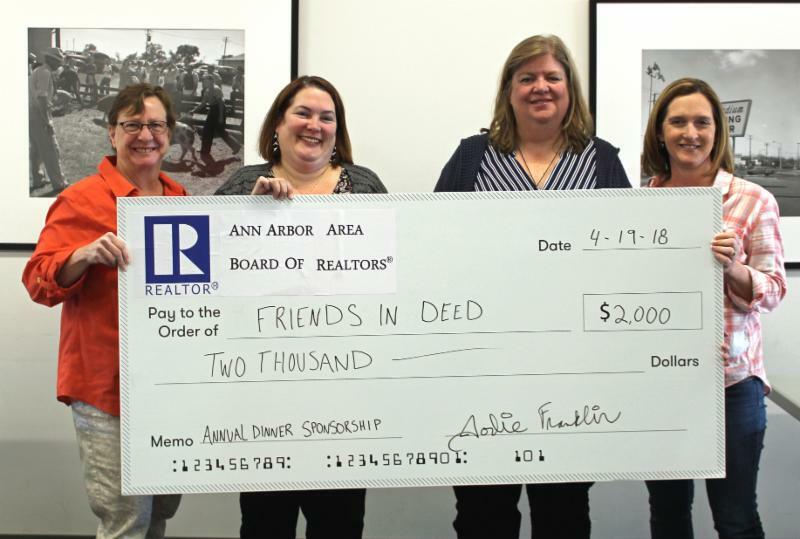 The Ann Arbor Area Board of REALTORS® has contributed $2,000 to Friends In Deed to become a Diamond Patron and Program Sponsor for the Annual Dinner on May 1, 2018. 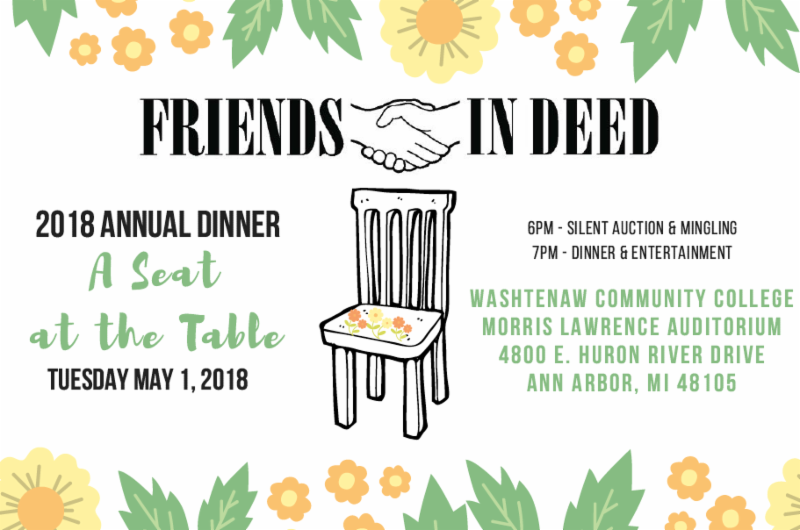 The "A Seat at the Table" Annual Friends In Deed Dinner and Silent Auction is on Tuesday, May 1, 2018 at the Washtenaw Community College Morris Lawrence Atrium, 4800 E. Huron River Dr., Ann Arbor, MI 48105. Tickets to the event are available now for $75 per-person or $140 for a couple and include dinner, drinks, entertainment and a silent auction featuring hand-painted chairs turned into works of art. Your registration for this event supports the dual mission of Friends In Deed: (1) helping those in poverty with immediate assistance; and (2) lifting families out of poverty to achieve economic independence. Your donation is used to help a family with car repairs, beds, cribs, emergency medical care, utility bills, staffing costs, or enrollment in the new Circles program. Learn more about Friends In Deed and register for the Annual Dinner NOW to help make a difference!